Do you know?? In 1995 there were approx. 23,700 live websites and each website have approximately 1,908 users and now there are more than 3 million live websites. So in this race of websites, the most important thing is Server Loading. If any Website is taking more than 5-6 seconds to load, then there should be a problem in the server loading and the owner of the website must check that out. UI and UX come after server loading. Suppose there are two eCommerce sites A and B. A takes 4 seconds to load a page and B takes 7 seconds to load the page so users will move to the A eCommerce site because their page loading time is less. To make your website loading swift, please lay emphasis on the below mentioned points. Code which is poorly written can lead to a host of web application issues including inefficient algorithms, memory leaks and application deadlocks. Software’s of older versions or integrated legacy systems can also drag performance down. Make sure your teams are using all the tools at their disposal. The optimized database gives you the highest level of security and performance, but from an unoptimized database, your production application can be destroyed. This can slow down the performance of all SQL queries, that can drag down the entire site. To overcome this, you have to use scripts and file statistics to check for any inefficient queries. The unmanaged growth of data in website tends to degrade over time. You have to manage the growth of data for your web server performance success. For this, your team needs to research and grasp the appropriate storage of your data needs. Then check all the options from caches to databases for more sophisticated layered storage solutions. 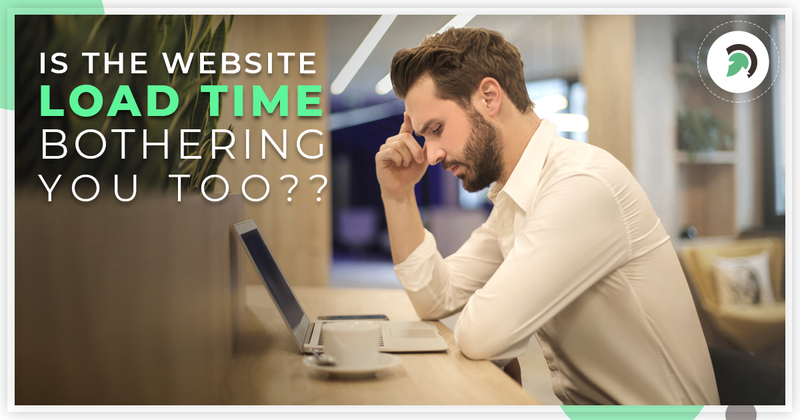 Increased traffic due to running marketing campaigns or some viral videos can make your website slow or can also cause it to hang, who knows what can happen when you aren’t properly prepared for them. To overcome this set up an early warning system through user monitoring systems like NeoSense. When Load distribution is not proper it can slow down the response by incorrectly assigning new visitors to hang. If the whole system is well under capacity, then also users on the same server are going to face the problem. To test the product for load distribution use NeoLoad. Using Third Party Services in your system can slow down the servers and that is out of your control. First, you have to check out whether the problem is from your end or from the third-party side. If there is a problem with the third-party site, then please contact your service providers. Those web applications which relies on virtual machines from scalability to management to system recovery. These Virtual machines are organized with hundreds of VMs on a single server. If one of the VM slows down or hang, then it will affect the others. To overcome this, you have to check all virtual machines which are connected to the web application. To overcome the server loading problems first you have to check the site optimization. Lest talk about what is site Optimization. Using Site optimization tools you can know that how much time is taken by a page to load all the data from the server onto the requesting web browser. The view time taken to deliver the requested data along with the HTML content to the browser. For end-users, as they requested the web page to render on the browser for that, this is the ultimate empirical measure of page load speed. You may be wondering that How to improve the website speed? For this follow the below steps. 1.1 Use Speed Optimization tool: There are many speed optimization tools like GTmetrix,pingdom and Google pagespeed insights. By using such tool, you will get to know that where is the delay to load data into the browser. Larger files take a longer time to download on the browser. Images make up on average 66% of a total webpage’s weight. For image optimization, you have to checkFormat of the image. Shorthand Coding: – Make the code small by using declarations and operators. Axe Browser Specific CSS Hacks: – Remove unnecessary weight from the CSS script files. Minify CSS: – reduce the weight of the CSS code to improve the speed. Don’t use CSS in HTML such as H1 and DIV tags. Some important things like Minification of inline JS and external files that are not cached. Those JS files which are over 4046 bytes of size must be minifying. Faster browser downloading and execution. Yielding higher scores on website speed measuring tools. The extension that is designed to optimize the cache and supercharge the website. This is used for the visitors those are requesting for the directed information to the nearest server based on their geographic location. Page rank collectively lifts business bottom line. After doing the site optimization you have to check yobusiness needs and requirements.business needs and requirements.business needs and requirements.ur CPU usage. If CPU usage is higher on each request, then you have to tune your apache configuration. For that, you have to follow the below points. Suppose server has 512 MB RAM. If the traffic on the server is more than 512 MB, RAM fails and due to that MYSQL server appears to hang. To solve this issue, you need to tune your Apache configuration. 2.2 Fall Down the Configuration. Apache server can bring our servers down when it is severing many requests. All the request will fill the available memory. When the server is out of RAM it will kill the processes and process will go down first one will be MYSQL. In Apache there are maximum 256 clients preconfigured. The configuration settings can be found in file /etc/apache2/mods-enabled/mpm_prefork.conf. Open this file and looks for the MaxClients. 99% Apache servers use prefork module to serve requests. So not to use non-native configuration you need to change the settings. Calculate the MaxClients directives. for that check memory for your Apache processes use. Check the RES column. Size should be in megabytes. In above image it’s 22m. Get the value. If your server has 512 MB RAM and your server is using MYSQL and sendmail, then you have to reserve half of RAM for apache (256 MB). Divide the memory for each process. Resorting to virtual Memory will slow down the server. 2.4 Setting the MaxClients and Start Servers directive. Change the MaxClients and the Server Limit Directivesbusiness needs and requirements. Save the file and restart Apache (/sbin/service httpd restart does that trick in Fedora Core). Now start Testing and issuing the uptime command in your root login should not yield a load average above 1, and the server should respond to commands quickly. This way you can tune your Apache. Still having an issue, check htaccess file for the unwanted code. Even after following the above mentioned steps, if your website is not working as per your expectations, then please give us a chance to honor you with good and fast service. We Evincians are happy to help you out in any manner.